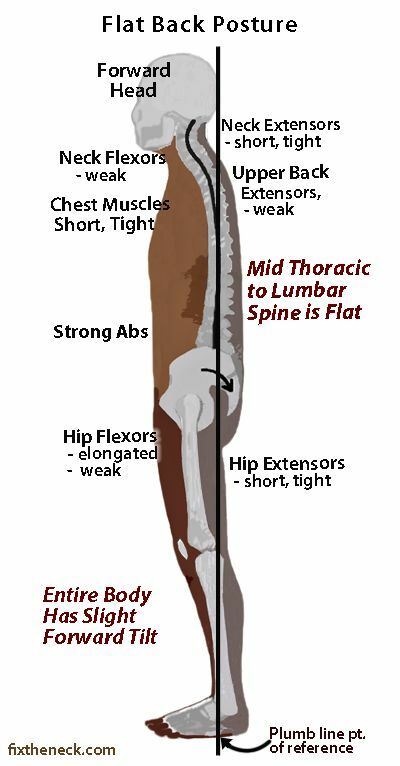 The lumbar lordosis is the curve in your lower back. 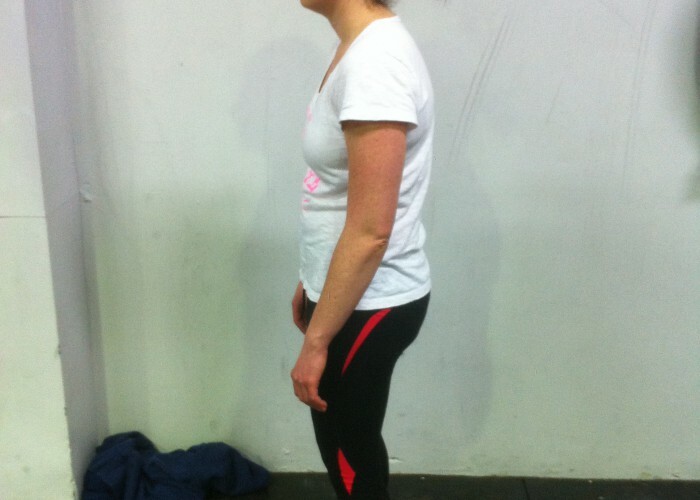 Too little lordosis or “flat back” may mean the lower back is tight and under stress, or may indicate a bulging disc. Moving the wrong way can cause acute lower back pain. Side bending or lateral flexion of the lower back is important because a lack of side bending puts stress on the lumbar spine. Movement should be like a slinky, smooth and continuous. Most people who injure their lower back have poor movement due to restricted lateral flexion. Tight hamstrings put more stress in the low back when moving. Tight hamstrings can also represent problems in the calves, and gluteal muscles which will load the legs and restrict motion in the pelvis. This leads to more strain in and around the lower back vertebral joints and the associated muscles. This is a finding seen most often on x ray. Is the degeneration as seen on an x ray the symptom or the problem? Usually it’s both. Poor spinal movement, trauma(s), and poor posture over years lead to excess wear and tear and degeneration or decay of the discs of the low back. Restriction in lateral flexion and hamstring range of motion, and a reduced lumbar lordosis were associated with an increased risk of developing low back pain over a 12-month period. Degenerative disc changes and previous a history of low back pain are risk factors for recurrent episodes in the future. The idea that back problems are self resolving is untrue for most of us. The problem goes silent for a time and often shows up years later in a worse form. Daily exercise, maintaining a good arch curve in the lower back can help prevent back pain and spinal problems. Most of us are unaware of our problems with the back unless we experience pain. “Normal” daily pain and stiffness is often not normal at all. As a Chiropractor, I look at the whole body and help you identify your back problems, even the silent ones. The Chiropractic approach to restoring motion in the back using specific adjustments, muscle release and targeted exercises is proven in numerous studies, safe and well accepted. Seeing the right doctor of chiropractic first can resolve a back problem and help you avoid unnecessary tests or more invasive interventions (such as injections or surgery) that can be harmful in the long run. Resolving the cause may prevent other motion related problems in other joints and parts of the body such as the neck, shoulders, knees, hips, ankles and feet.